So, I somehow seem to have friends who do all sorts of crazy amazing things. Several have jetted off to various places around the globe to save the world - whether that is teaching in rural China or working on natural resource management with communities in Malawi. Others just are super smart, starting their own businesses or making their mark in grad school. And then, every so often, I come across something like this. They say a picture is worth 1,000 words, and I am sure that at least that many words has been written on the topic. 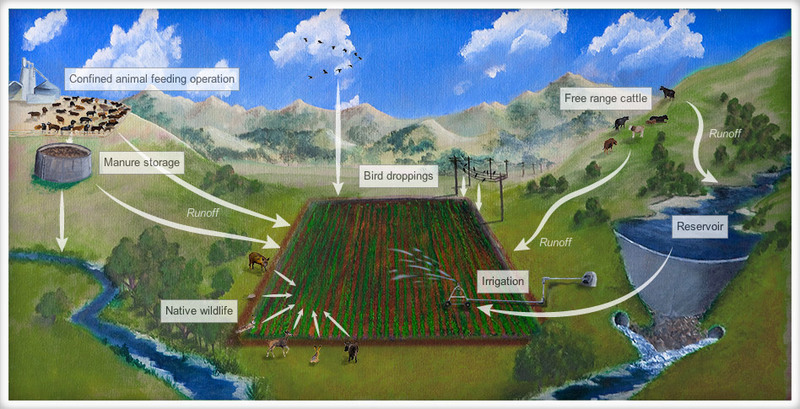 Below is the very artistic rendition of how animal waste enters our food system.